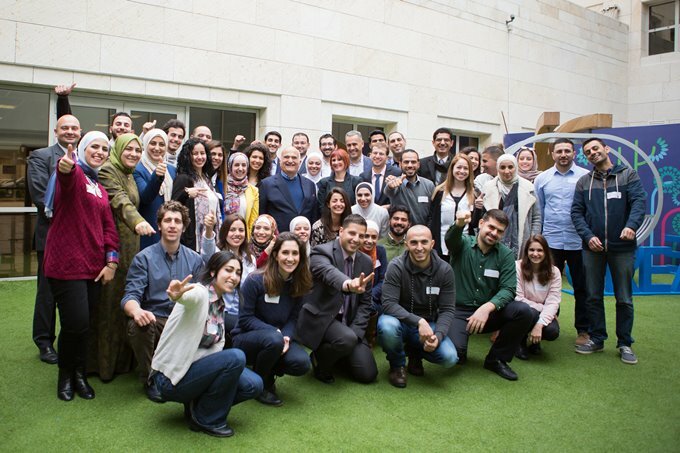 The year-long programme, supported by Zain, the UK’s Department for International Development (DFID), as well as the King Abdullah II Fund For Development, commenced in the presence of His Royal Highness Prince Hassan bin Talal who opened a five day summit in Jordan for the 40 delegates. During the summit, the delegates participated in leadership skills workshops, group discussions and visit local projects as well as listening to esteemed guest speakers including Ahmad Hanandeh, CEO of Zain Jordan, Edward Oakden, Her Majesty’s Ambassador to the Hashemite Kingdom of Jordan and His Excellency Imad Fakhoury, Minister of Planning and International Cooperation. In advance of the summit, participants were matched with a Mosaic mentor who advised them on the design and implementation of their action plan. All Mosaic mentors are Jordanian or live in Jordan so they can best support their delegates to navigate local challenges. Each participant has selected their own area of focus, taking influence from their passion and the issues which are relevant in their local community. Throughout the five days, the delegates developed an action plan for their project, which they will deliver in their local community over the 12 months of the programme. Delegates from the International Leadership Programme 2015 have undertaken a range of projects, including an income generating kitchen for female Syrian refugees in Turkey, conflict management and capacity building for refugee host communities in Jordan and targeting gender inequality in Azerbaijan. During the Summit Mosaic’s partners Zain Jordan and the King Abdullah II Fund for Development each announced funding of 50,000 Jordanian Dinars, around £100,000, as a fund for which delegates can apply for seed funding for their projects. This fund aims to support the sustainability of the projects and build on the delegates’ leadership skills and project management as they bid for funding for their projects and report back on their project impacts and fund management. The MLP-JO will give participants the opportunity to work with a mentor to develop the skills to become an active, positive member of their community and to lead a project to affect local change. Participants are required to stay in touch with their mentor and Mosaic for the duration of the year-long programme, during which time they are expected to have completed their action plan. Every three months, participants will submit a progress update to Mosaic and at the end of the 12 months they will submit a short report on what they have achieved. HRH The Prince of Wales will be kept informed of the progress of the delegates throughout the programme.